Our kajal has been formulated with UNIQUE and PATENTED ingredients to give MAXIMUM CARE and the BESTEST OF EXPERIENCES. This is due to Hyaluronic Acid, Vit C, Vit E, Vit B3, sunflower oil and its unique protective system called DEFENSIL which has originated from the stems of vegetable extracts. The combination of other ingredients STIMULATES CELL TURNOVER, RESTORES VITALITY and makes the SKIN FRESH. Dermatologically and Opthalmologically approved. Kajal can be used on waterline. Suitable for contact lens wearer. 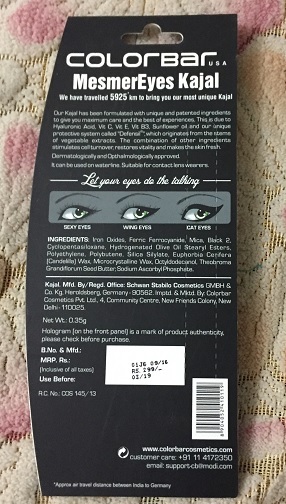 The kajal comes in cardboard kind of packaging which has the details of ingredients and price details. The kajal is in retractable form which is easy to use. The kajal body is completely black with the name and manufacturing information is scribbled in gold color. Overall, I am happy with the packaging. The texture of the kajal as claimed is very soft and it glides on like velvet on waterline and eyelids. 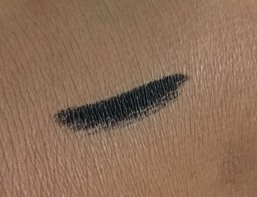 The black color shows up in single swipe on both waterline and eyelids, but to increase the intensity of black one may need to go back and forth. 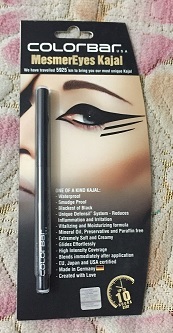 The kajal has a matte finish. The shade of the kajal is black. The bold black kajal color shows up in single swipe on eyelid and waterline. The product claims staying power of 10 hrs , which is true to a large extent. I have used this kajal on both my eyelids and waterline and the kajal stays on forever with very less smudging. 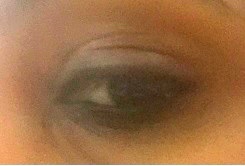 The kajal takes some time to set but once set the kajal does not budges from both waterline and upper lid. The kajal is definitely water proof as one may require makeup remover to remove each and every trace of the kajal from eyes by the end of the day. 1. Costly as there are other kajal’s in market which have great performance and are less in price. There is only one problem with this kajal that it is priced at Rs 299. 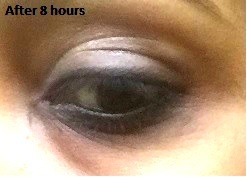 One can buy Lakme Eye conic 22 hours for Rs 180 and have the same results as the Colorbar one. Hence, I do not think so I am going to buy this again.